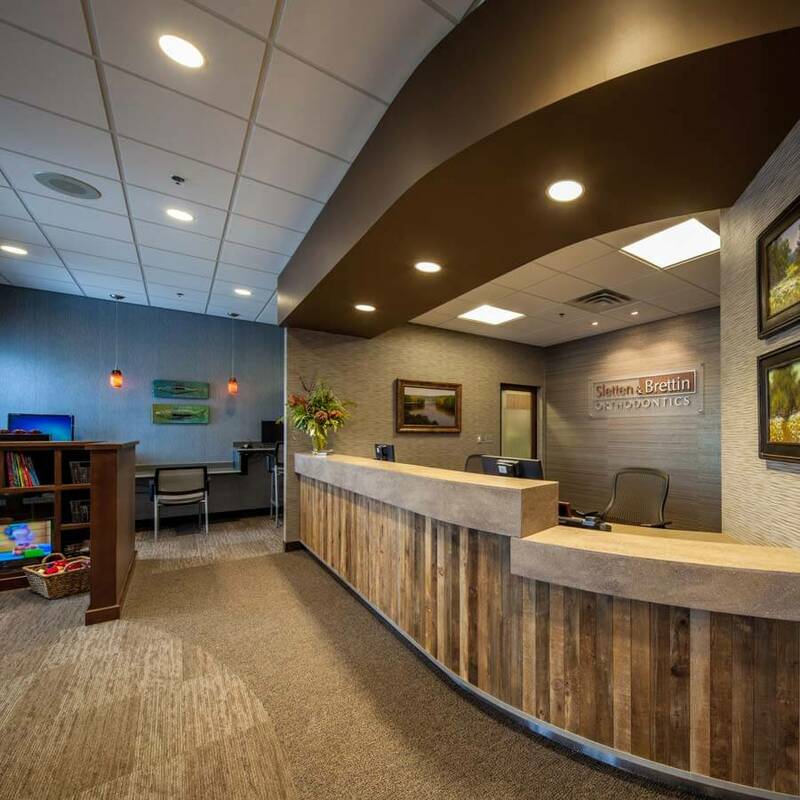 Interior Architecture and interior design services were provided for image enhancement and to create increased efficiency throughout the space. 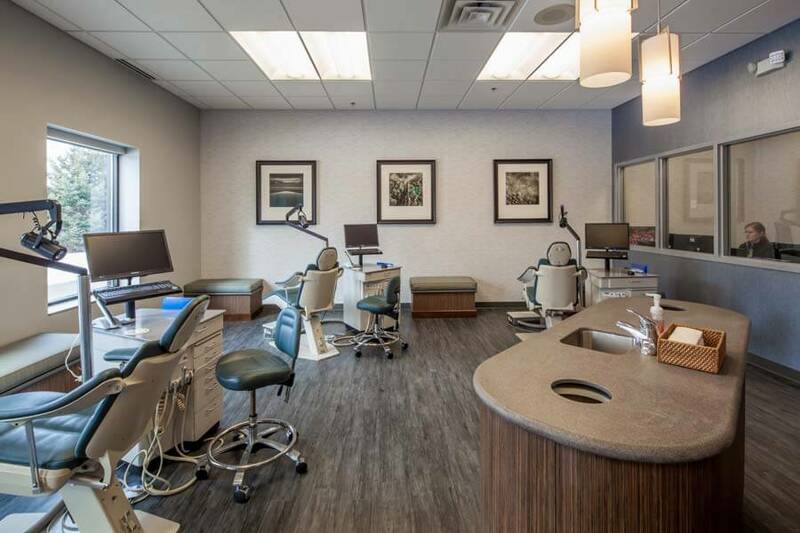 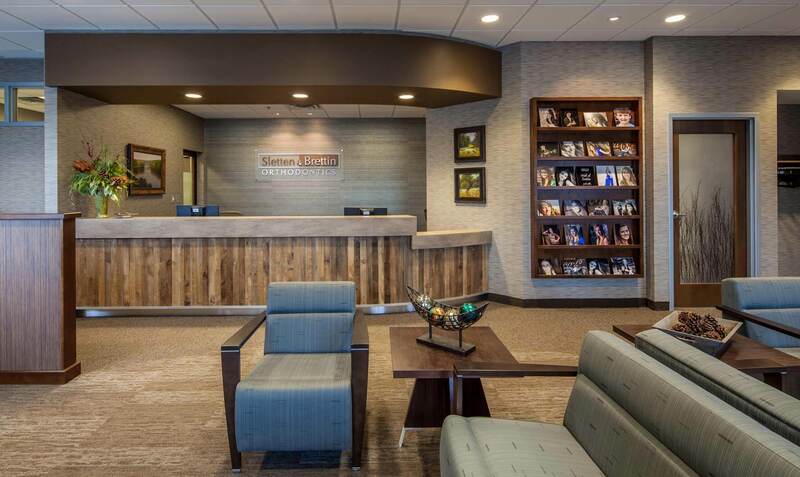 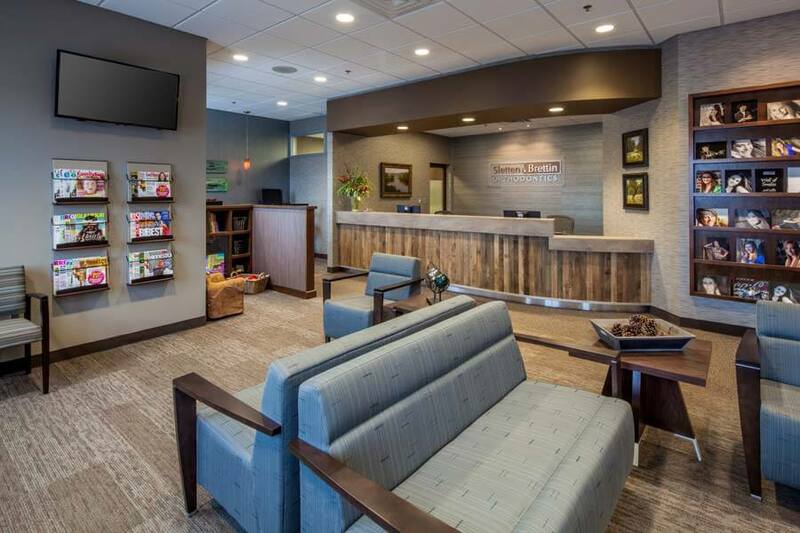 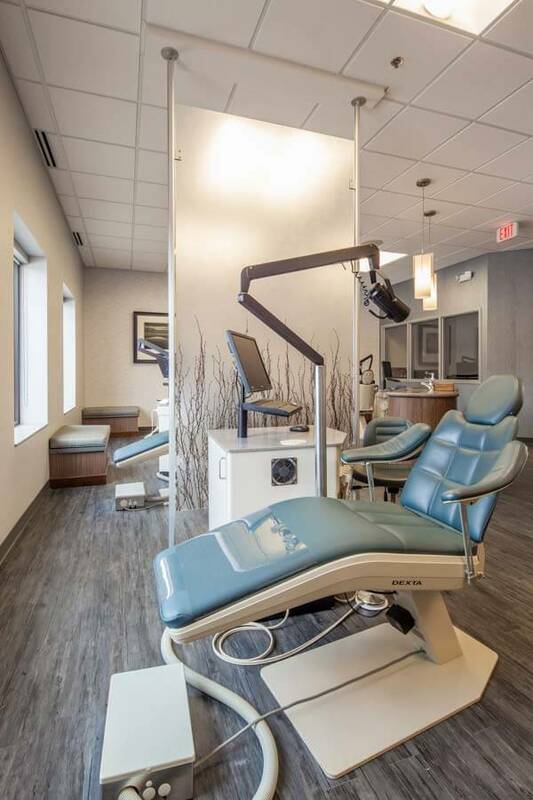 The clinic offers a warm color palette that is highlighted by a custom reception design with reclaimed wood which provides connections to nature. 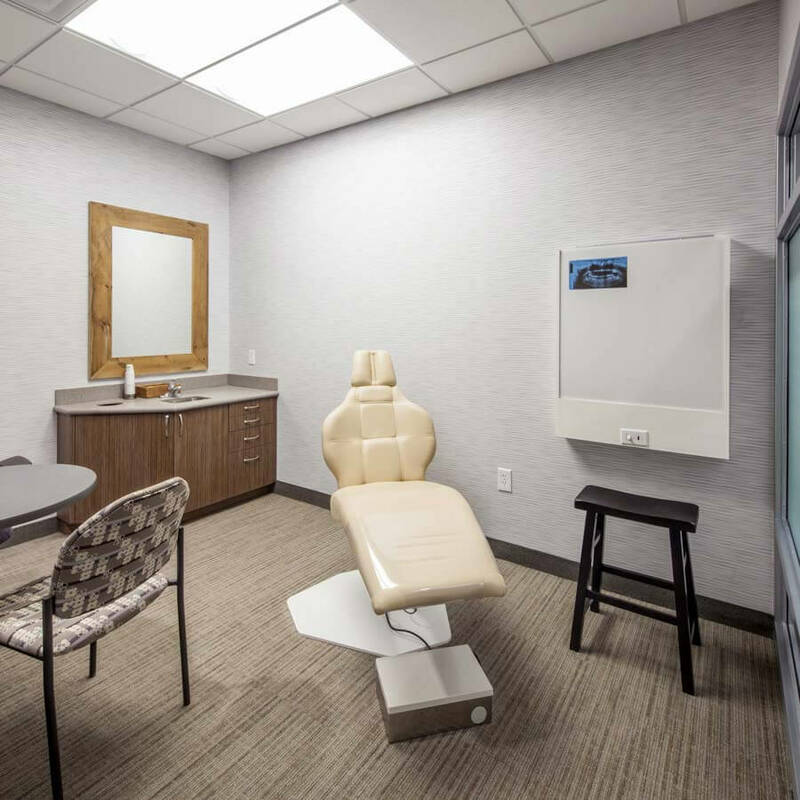 In areas throughout the clinic, the use of 3-Form panels with branches infused in the material, continue to reinforce the natural theme. 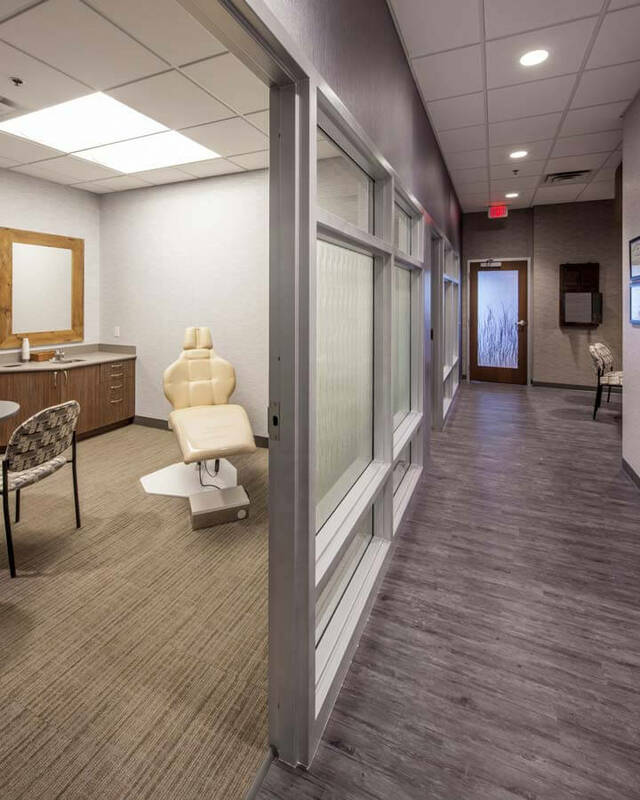 Artwork throughout the space along with the introduction of slate blue and rich green tones in the textiles, contribute to the warmth of the clinic.